Gone Fishing is a “Daily Something” and in this case, it’s another attempt at working with digital color. This one took a good bit of time, selecting and placing colors. One weak line opens the color out into a larger area, so there was a lot of save and continue going on with this one. 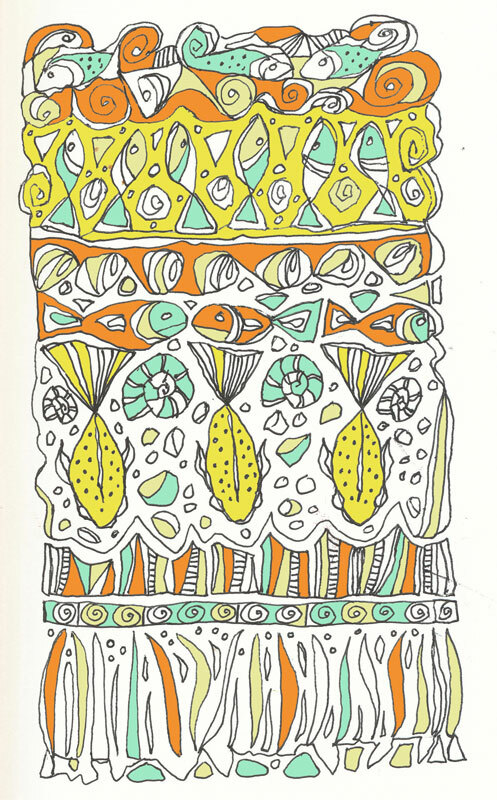 This entry was posted in Uncategorized and tagged abstract design, digital color, fish, ink pen drawing, Linda Kay Thomas, Linda Snider-Ward, Louisiana artist, small art. Bookmark the permalink.